This is a double issue as I was not able to update last week. An empty Dvinitsa-50 heading back to the Black Sea. Photo: Yörük Işık. 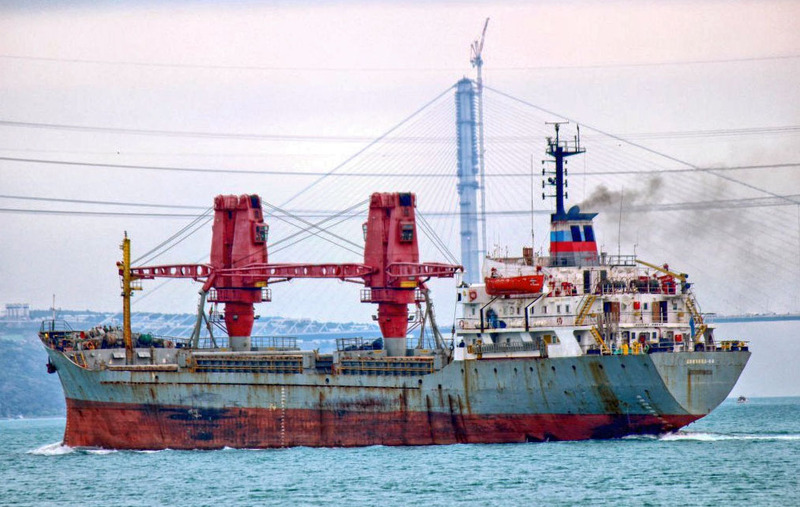 Tsezar Kunikov, making a southbound passage through Istanbul. Photo: Serhat Güvenç. 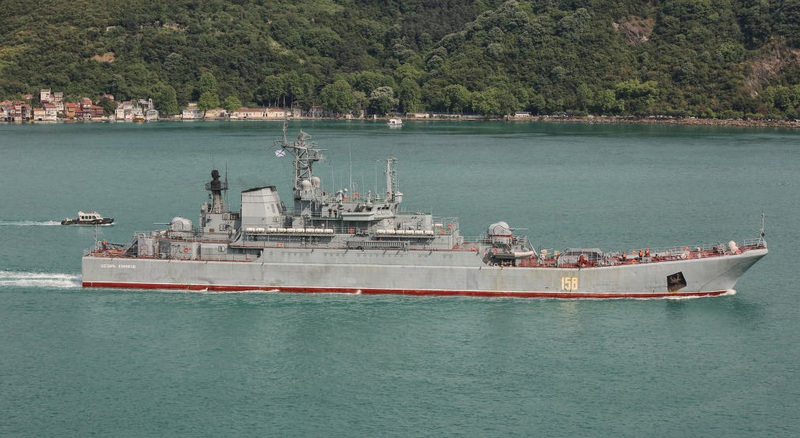 Ropucha class landing ship Minsk, returns from Mediterranean. Alexander Otrakovski can be seen in the background. Photo: Yörük Işık. Alexander Otrakovski returning from her Syrian deployment. Photo: Alper Böler. Turkish frigate F-241 TCG Yıldırım is in the background. 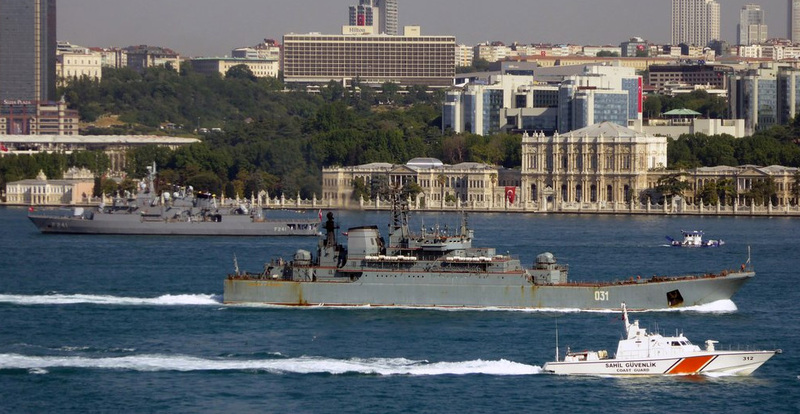 Second Natya class mine sweeper deployed to the Mediterranean, Valentin Pikul, passes through Istanbul, escorted by Turkish Coast Guard vessels. Photo: Yörük Işık.